The easiest, most powerful Blu Ray copy software is here! 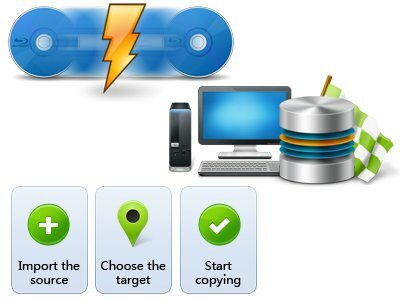 BluRay Copy is an easy, one-click, software for BluRay HD video users to copy and backup Bluray DVD movies using a Windows PC. BluRay Copy incorporates advanced replication technology that allows you to copy Bluray movies from a single disc or to a file folder. You also have disc to ISO image, or direct, disc to disc replication options! Using our software and your BluRay burner, you can create true backup copies of any movie in your collection without loss of quality. It’s powerful enough for pro’s but easy enough for the novice user too! – A few quick settings and one click is really all it takes to get going. just how easy it is. Copy & decrypt Blu-ray discs from 3D Blu-ray disc to 3D Blu-ray folder, ISO file and a blank Blu-ray disc with ease. Keep original eye-feasting 3D effect. Three copy modes provided: Full Movie, Main Movie and Custom Mode (Select the chapters, subtitle and audio track you want to copy). Choose any mode at will. 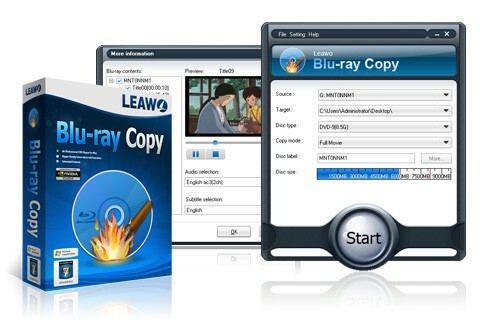 Leawo Bluray Copy is one of the fastest Blu-ray disc copy tools to copy Blu-ray DVD with stable process. Save time, space and energy.